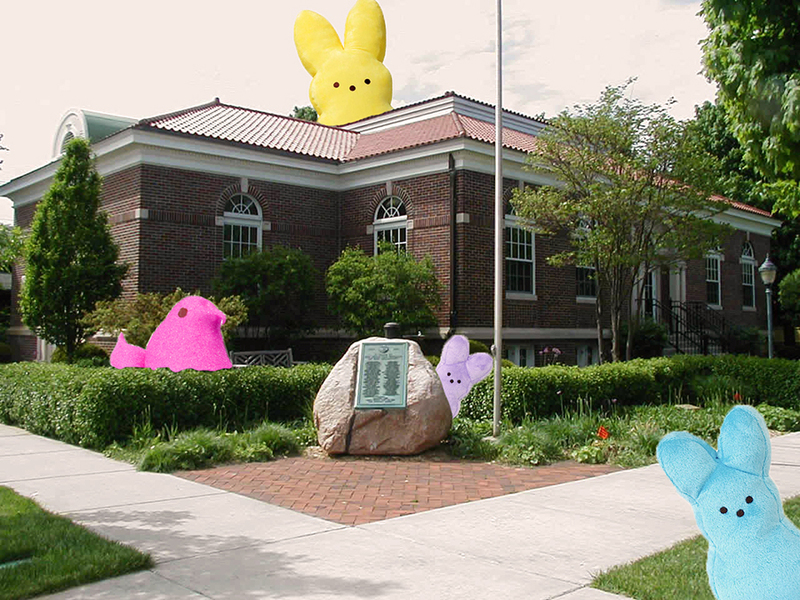 Peeps are taking over the library this March! Join us in our Marshmallow Madness! MILFORD — Celebrate marshmallow madness during March at the Milford library. Beginning Saturday, March 5, vote for your favorite “peep” version of several classic children’s books, including Good Night Peeps, from “Good Night Moon” or Green Eggs and Peep, from “Green Eggs and Ham.” The peep displays will be numbered and above the shelving in the children’s department. You may vote for your favorite once a day all week. Your vote is a drawing slip to win a prize at the end of March. The week of Monday, March 21, there will be a marshmallow activity each day for all ages, between 3:30-4:30 p.m. each day. The marshmallow fling will be Monday, March 21, and a there will be a peeps scavenger hunt on Tuesday, March 22. Make marshmallow poppers on Wednesday, March 23, build with marshmallows on Thursday, March 24, and the whole family can come to see “Open Season: Scared Silly” at 2 p.m. Friday, March 25, and enjoy some marshmallow refreshments. These events will take place in the library’s meeting room.